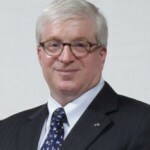 Scott E Kalb is the Chief Investment Officer of Korea Investment Corporation (KIC), an investment-management institution set up by the Korean government in July 2005 to manage part of Korea’s foreign-exchange reserves and other public funds. His main responsibilities include devising investment strategies and asset-allocation plans, rebalancing the investment portfolio, reviewing and revising investment policy and monitoring investment performance. Mr Kalb joined KIC in April 2009 with more than 20 years of international experience in asset management and research. Prior to his current position at KIC, he was Senior Portfolio Manager at Balyasny Asset Management (BAM) from 2006 to 2008. Before that, he served as Chief Executive Officer and Senior Portfolio Manager at Black Arrow Capital Management – a firm that Mr. Kalb helped co-found – and which was later merged into BAM. From 1999 to 2002, he was Vice-President and Senior Equity Portfolio Manager at Tudor Investment Corp. From 1990 to 1999, he was with Citigroup, where he was Managing Director and Head of international equity research at Smith Barney International Asset Management. In addition, he was with Drexel Burnham Lambert in London, and James Capel & Co earlier in his career. He also served as economic consultant at Korea’s Economic Planning Board and the Ministry of Finance from 1984 to 1986. Mr Kalb received an MA in economics from Harvard University and a BA from Oberlin University.